Germinating Cannabis Seeds – Growing your own weed is one of the most rewarding experiences in life! Learning how to grow cannabis gives you the chance to smoke and share phenotypes that no-one has ever experienced. Cannabis seeds and humans have a long history together, with the oldest known relationship dating back 2,700 years! These ancient seeds were found in a Chinese grave in 2007 and they were preserved so well they may have germinated. Together, we can add to this multi millennia relationship and play a part in the beautiful history of cannabis. When growing from seed you have the chance to personalize the smoke you want to have. You can pick flavors and effects that you enjoy making your strain selections special and more personal. But growing from seed can be challenging. Specifically germinating cannabis seeds. It can have many pitfalls when approached incorrectly. This results in wasted time wasted money and heartache. With the help of this simple tutorial, you can avoid that and grow healthy plants from seed every time! When growing from seed it’s important to start with large, healthy, mature seeds. In many cases, people receive inferior seeds. This puts you at a disadvantage from the start. 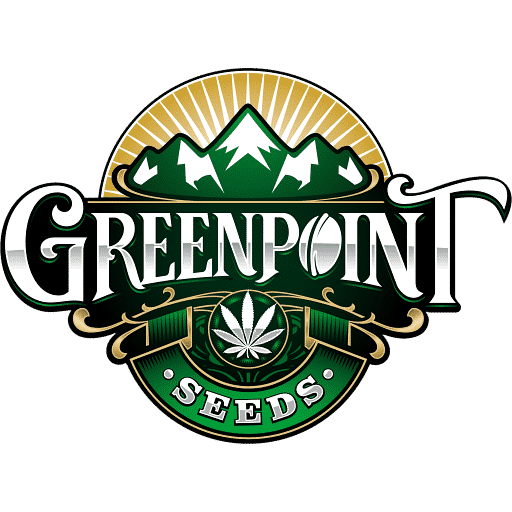 At Greenpoint Seeds, we go through multiple steps to guarantee our customers get the best seeds on the market. We begin by using an airlift which sorts the seeds by weight. The airlifts the lighter seeds out of the batch leaving only the heaviest most mature seeds. Next, we use a sieve that sorts the seeds by size, discarding the smaller seeds so only the largest remain. Finally, we do a visual inspection and remove any discolored seeds to ensure only the best cannabis seeds go into a Greenpoint Seed Premium Collectors pack. When you set out to germinate your cannabis seeds, you must understand and replicate the natural systems and environments that help seeds flourish. In nature, seeds from annual plants (such as cannabis), are created because the plant is dying and will need to preserve its genetics through the harsh months to come. These seeds must be hearty enough to withstand cold, heat, drought, animal digestion, insects and all types of adversity. Seeds typically undergo germination when conditions are warm with precipitation; creating a moist environment. The warm water washes away growth inhibiting hormones and moistens the seed at the cellular level. Thus providing the optimal conditions for growth. In nature, most plants produce large amounts of seeds. And with luck, a small number will germinate and survive to grow up and reproduce themselves. It is up to us as the master of the indoor growing environment to germinate and pass on desired genetic traits. There are various methods of germinating cannabis seeds and although there are many paths to the same goal, we have found that the method described below is the best way to germinate Greenpoint Seeds. Step 1 Take a clean shot glass and fill it with room temperature water (tap, filtered or reverse osmosis water are fine). Step 2 Carefully put your cannabis seeds in the shot glass of water (1). Step 3 Put your shot glass in a dark place that has an already steady temperature of around 70-80 degrees. Step 4 Wait 24-48 hours. If your seeds haven’t cracked or sprouted yet, continue checking on your cannabis seeds every 6-12 hours. Look for cracks in the seeds and white taproots (2). Step 5 Soak your Rapid Rooters in plain, room temperature water (tap, filtered or RO are fine) (3). Step 6 Carefully place each germinated cannabis seed inside the hole of its own Rapid Rooter, taproot down. Tear off a small piece of rapid rooter to cover the hole on top of the seed for moisture retention and some resistance. This will cause the seedling to grow strong before surfacing. Splash seeded rapid rooters with plain water one more time before leaving them under a delicate light source such as a T-5 (4). Step 7 Wait for the seeds to sprout and surface making sure to lightly water every 2-3 days to prevent Rapid Rooters from drying out(5). Step 8 Once the seedling has fully surfaced and taproot is visible growing out of the bottom of the plug, transplant into desired medium and feed plain water or very light vegetative mix making sure not to overwater for the first week or two of life (6). Cannabis seeds possess a thick exterior that does not always allow for immediate liquid penetration. Once seeds sink instead of float you know they have taken on the water needed for germination. This could take a few hours so be patent. Seeds can take anywhere from 24-72+hrs to fully germinate but after 5 days should be discarded and replaced. You want to make sure the Rapid Rooters have taken on as much water as possible much like a sponge. Soak overnight if desired. Seedlings in nature have to fight to the surface through the soil, mulch and debris making them stronger and more rigid from their struggle. The small piece of rapid rooter over the seed replicates this process. Some methods call for a dome to keep moisture levels high but we have found that the seeds to best without a dome. With a dome, seedlings get used to the high humidity and have a hard time making the transition to the dryer air once the dome is removed. Water enough to keep the Rapid Rooters moist and never let them dry out but you don’t want to water too often and drown the seedling. Overwatering comes into play in the final step. Waiting sufficient time between watering comes with time but a good tip is to err on the dry side instead of the wet and to wait at least 3-5 days between watering depending on the medium.